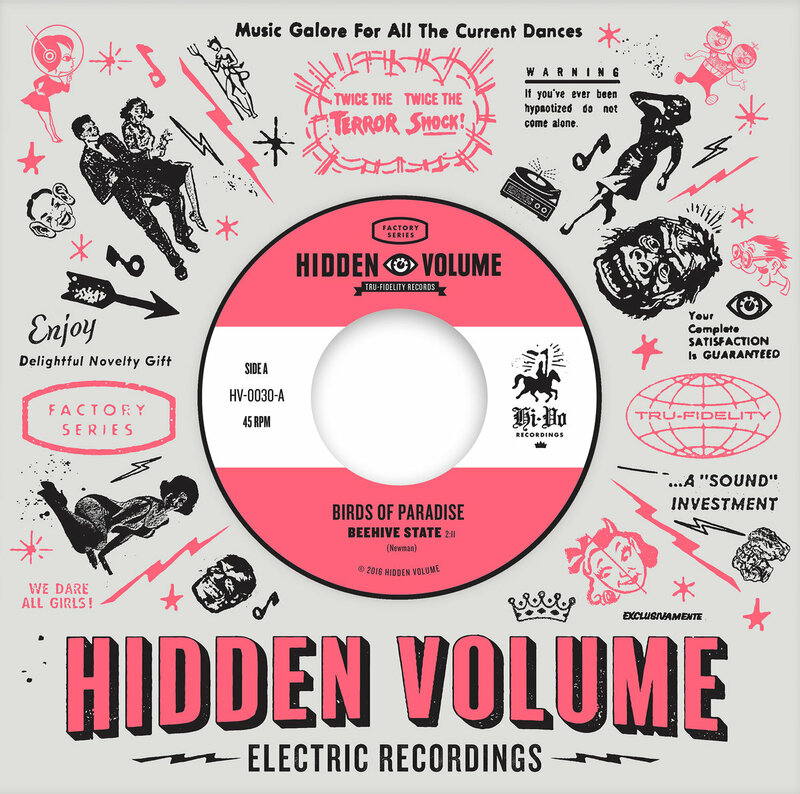 Hidden Volume Records is at it again with their latest rock ‘n’ roll 7″ – this time from Montreal duo Birds of Paradise. The A-side (streaming below) is the duo’s thick and grungy version of Randy Newman’s “Beehive State” and on the B-side is their dusty, garage-pop rendition of Pearl Jones’ “Please Stay“. As usual this is another solid Hidden Volume release that belongs in your collection. What are you waiting for? Go get yourself a copy from their Bandcamp page now, before they are all gone. Thanks Scott for sending the vinyl my way!